New Delhi (03/01/2019) : Considering the vital role the logistics industry plays in growth of the country, Confederation of Indian Industry (CII), has been organising an exclusive event on logistics since the year 1997. The 10th edition of “Logistics 2019” – India’s Premier and focused show offering end to end solutions in the Logistics Industry is scheduled from 3 – 5 February 2019, at Pragati Maidan, New Delhi. The logistics industry plays a vital role in the growth of any sector and has a direct impact on efficiency of business. In India, logistics sector is in an evolving phase with newer technology being introduced to improve on efficiency and help in reduction of costs. India being one of the fastest growing economies in the world has a great potential for growth in every sector. Logistics 2019 will be an ideal platform for companies involved in Logistics, Supply Chain, Transportation, Shipping & Port, Material Handling, Warehousing & Storage Equipment, Consultancy and IT related business to showcase on their products & service, latest trends and Technologies to the industry and to strengthen their brand awareness to the stakeholders. It would attract the end users from the Automotive, Manufacturing, Retail, FMCG, Pharmaceutical and other sectors. 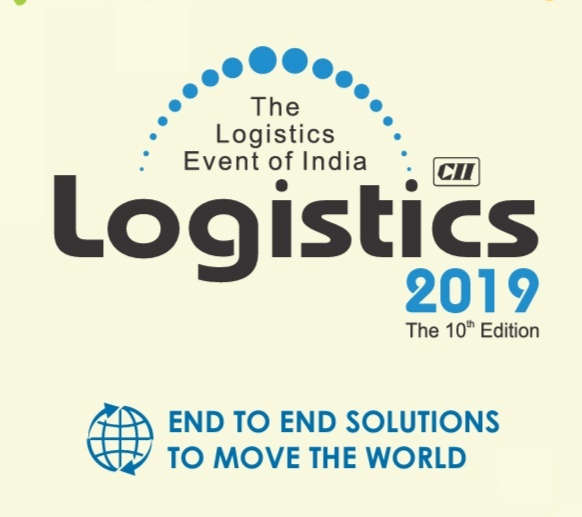 10th edition of 'Logistics 2019' kick off with Curtain Raiser in New Delhi!